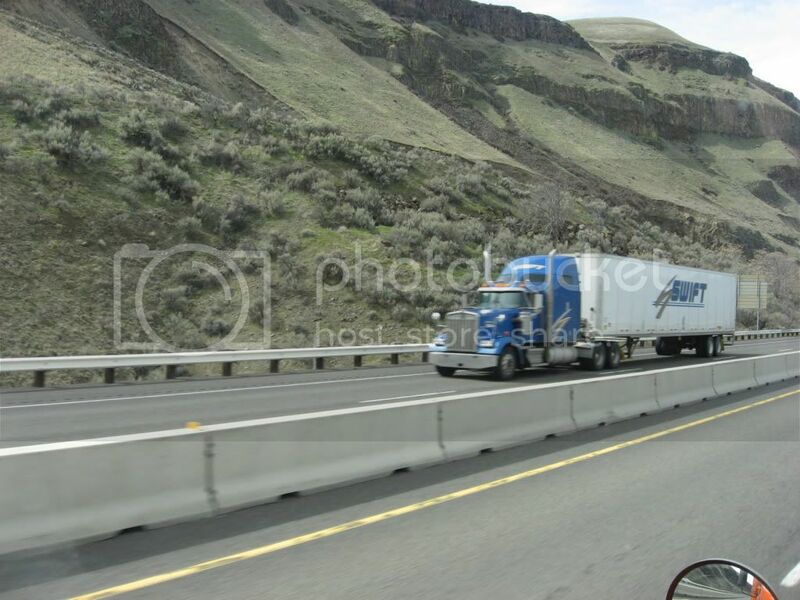 Caught this Swift W900 pulling a container the other day on my way to the Wal-Mart DC in Hermiston, OR. Dont see many of these Company W900 much out here. I think they look pretty sharp. 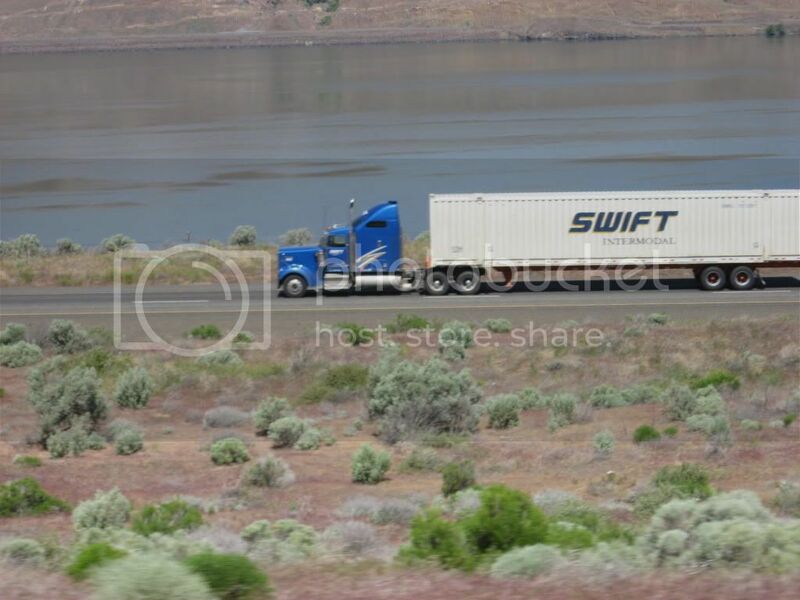 Nice shot Mike :-D :-D BTW That Container Chassis Looks Orange i wonder if that was an Ex JB Hunt or Ex-Schneider :? :? 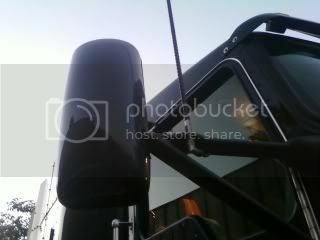 Its a BNSF chasis, Most are painted orange and a few of them are painted black. Yeahhhhh someone finally caught one..by the way its an Ex. L/O truck converted into a company truck.. 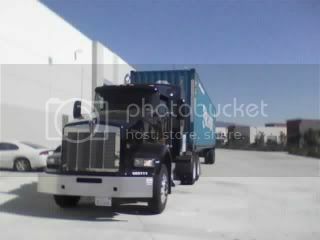 I was told they wont bring these out East...to many tight docks :? Stupid reason.. 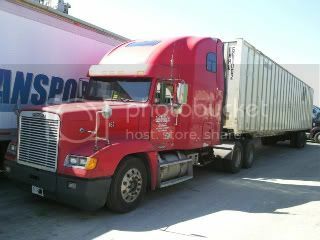 But it is very true I have been to many companies in the east that a straight truck woul dbarely fit in let alone a long nose semi.